X J Auto Svc Inc is proud to offer a full range of tire shop services to vehicle owners located in the greater Calgary area. Proper and regular tire maintenance is important not only to the performance of your vehicle, but to the affordability of your vehicle too. That`s right, properly maintained and inflated tires not only increase the durability of your tires, but they help your gas mileage too. With the cost of gas these days, your mileage can be very important to your bank account. 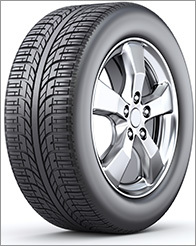 If your tire pressure is too low or too high, you can hurt your vehicle`s performance. Not only that, improperly inflated tires can be very, very dangerous. 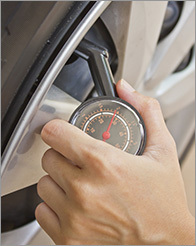 Proper tire pressure has to be maintained when you operate your car. If you aren`t sure what tire pressure your tires require, our staff will be glad to help. 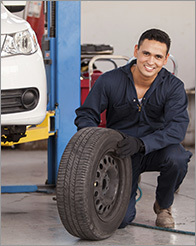 We are a full service Calgary tire shop, and we pride ourselves on our excellent customer service.